Amsterdam, The Netherlands – 11 September 2013 – Cargill’s cocoa and chocolate business, one of the leading players in the global cocoa and chocolate market, has launched three new tools in its portfolio of Price Risk Services to help customers more easily manage price risk. The new protective structures, CocoaPacer, CocoaPacer Cap and CocoaRange Cap are designed to help protect customers from volatility when pricing their cocoa ingredients. These new protective structures, CocoaPacer, CocoaPacer Cap and CocoaRange Cap are designed to help protect customers from volatility when pricing their cocoa ingredients. For example, they can offer protection within ingredient purchase contracts against sudden increases in cocoa prices, yet preserve the potential benefit of a discount if the price falls before physical shipment. 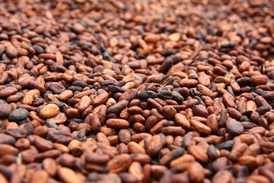 Cargill is one of only a handful of companies to offer price risk management for cocoa and chocolate ingredients, and is the only global cocoa and chocolate company to offer a dedicated Price Risk Services programme. Cargill’s protective structures offer an additional approach to managing price risk when sourcing ingredients; they should be used as a complement to traditional pricing approaches currently used by our customers. An important feature is to provide customers with a hedge benefit, which can limit the uncertainty and anxiety associated with making a traditional pricing decision. Price risk management is about determining the appropriate balance of risks in light of an organisation’s business objectives. “Because of continued cocoa price volatility, many food manufacturers are coping with extraordinary uncertainty when managing price risk exposure to cocoa and chocolate ingredients. We feel that, by combining our risk management discipline with our knowledge of the cocoa and chocolate sector, we have developed a consistent and methodical approach to managing price risk that is of real benefit to our customers”, concluded King. Cargill is an international producer and marketer of food, agricultural, financial and industrial products and services. Founded in 1865, the privately held company employs 140,000 people in 65 countries. Cargill helps customers succeed through collaboration and innovation, and is committed to sharing its global knowledge and experience to help meet economic, environmental and social challenges. For more information, visit http://www.cargill.com.